If were lucky enough to have cable TV back in the 90s (and you were around the right age and/or state of mind) you probably remember countless hours of Cartoon Network. The fledgling channel was nothing less than a classical education in the golden age of Looney Tunes and Hanna-Barbera shows. Eventually Cartoon Network filled up with its own original programming, but the classic shorts and Saturday morning cartoons moved over to a sister channel, Boomerang, which is still showing off the good stuff. Cord cutters don't get access to Boomerang, but that's about to change. Today Time Warner announced an upcoming digital subscription service based around the Boomerang channel and its associated classic cartoon properties. $4.99 a month or $39.99 a year will grant customers all-you-can-watch access to 5000 shows, including classic Hanna-Barbera, Looney Tunes, and MGM properties. The initial launch will include the big hits of 50s and 60s TV, like Bugs Bunny and Tom & Jerry shorts, The Jetsons, The Flintstones, and Scooby-Doo. Original Boomerang programming like the Wizard of Oz and Wacky Races reboots will also be available. Subscribers will get a Netflix-style on-demand library with no ads, not a set stream, though the content will be rotated weekly. The Boomerang subscription will be available sometime this spring, with access via Android and iOS apps as well as the web. Later expansions for set-top boxes like Roku and the Fire TV are planned. Unfortunately the service will only be available in the United States at launch. Boomerang has released the Android app in an early access form in the Play Store. Subscribers can get a 7-day free trial if they sign up for the $4.99/month plan or 30 free days if they sign up for the $39.99 annual membership. 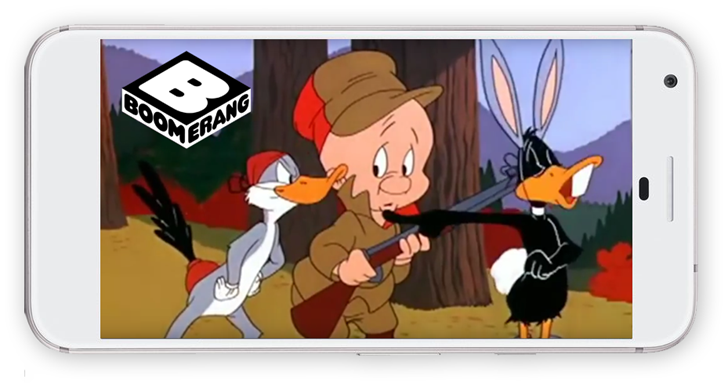 If you're itching for some classic cartoons, then download the app and get started.